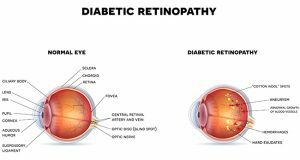 One of the most common causes of visual impairment and blindness in people with diabetes is a complication of diabetic retinopathy called diabetic macular edema (DME). Diabetic macular edema results in swelling in the macula, the portion of the retina responsible for clear central vision. The effects of DME can include blurry vision, image distortion, color or contrast changes, floaters or dark spots in the field of vision. The visual impairments of DME can affect day-to-day life in a variety of ways. They can make it difficult to see and take the proper medications, drive, stay active or even work. Undetected DME will gradually worsen and vision will continue to deteriorate. If untreated, DME can result in permanent vision loss and even legal blindness. To ensure quality of vision and of life, people diagnosed with diabetic macular edema should seek the expertise of a retinal specialist like Dr. Michael Elman, who can suggest the most appropriate treatment. Consistently high blood sugar levels can damage the tiny blood vessels in the retina, which is the layer of light-sensitive tissue at the back of the eye. These damaged blood vessels leak blood and fluid into the retina, causing swelling of the retina. Left untreated, the fluid can build up and cause the macula, or the central part of the retina responsible for sharp straight-ahead vision, to thicken and swell. This impairs the macula’s ability to function properly, and as a result, central vision suffers. According to the National Eye Institute, which is a part of the National Institutes of Health, approximately 10 percent of the 7.7 million Americans with diabetes have diabetic macular edema. It is the leading cause of vision loss from diabetes today. Diabetic macular edema usually causes objects in the center of the field of vision to appear blurry or wavy. Colors may appear faded or dull. Individuals who experience similar symptoms should see a retinal specialist like Dr. Elman for a complete eye exam and testing. 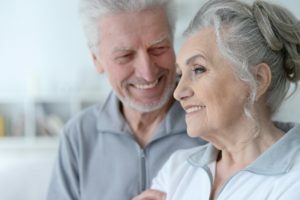 Once he confirms DME and identifies the severity of the condition, Dr. Elman can outline the possible treatment solutions and recommend the most appropriate treatment or combination of treatments. In the past, retinal specialists recommended laser therapy to patients with DME to seal off leaking blood vessels in the retina. Nowadays, the greatest success comes from painlessly injecting anti-VEGF medications directly into the eye. Anti-VEGF medications block a protein called vascular endothelial growth factor (VEGF) that causes normal blood vessels to leak and stimulates the growth of abnormal blood vessels. In a healthy eye, VEGF does not adversely affect blood vessel growth. However, with conditions like diabetic retinopathy, VEGF can become overactive and cause the retinal blood vessels to leak. Injecting anti-VEGF medications into the eye has been shown to reverse the progression of diabetic macular edema. A series of injections over time is normally recommended. The eyes are numbed prior to the injections to prevent any discomfort. Successfully managing DME requires keeping diabetes itself under control. People with DME are encouraged to take diabetes medications as prescribed, eat a healthy diet, exercise routinely and see their doctors regularly for follow-up. Control of high blood pressure is also very important to limit the leakage from diabetic macular edema. There is no proven way to avoid macular edema. However, maintaining a healthy lifestyle with a balanced diet and regular exercise offers the best chances at reducing the risk of DME. People with diabetes should see an eye doctor annually for comprehensive dilated eye exams. If you have been diagnosed with diabetic macular edema, or you have noticed visual symptoms consistent with the disease, Dr. Elman can help. Please call or email Elman Retina Group today to request a consultation with our trusted retinal specialist.